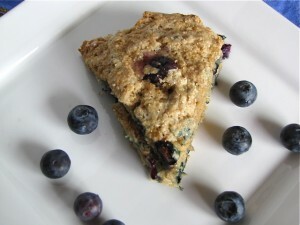 These scones are a yummy snack, mildly sweet with a little protein and plenty of healthy fat. 2. Combine almond flour, baking soda & powder, cinnamon and salt in a large bowl. 3. In a separate bowl, mix eggs, yogurt, and cream cheese with an electric mixer. 4. Combine the wet ingredients with the dry ingredients and mix with electric mixer. 5. Stir in blueberries and pear slices. 6. 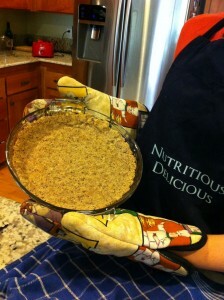 Drop batter in large spoonfuls onto parchment paper (leave room to spread). 7. Bake for 20-25 minutes until slightly browned on top. *If you prefer thicker scones, add 1/4-1/2 cup more almond meal. These scones would also be delicious with chocolate chips instead of pear slices. Mmm. Both festive and healthy, this dessert fits the bill. Inspired by Healing Gourmet’s recipe, I made a few changes to reduce the sugar in this recipe. I must say, it is pretty tasty though not as easy as most of my other recipes. Don’t get me wrong, it’s not hard to make, there’s just a lot of steps. Crust, filling, then topping. Here we go. This pie crust absolutely could not be easier. It’s just crushed pecans and melted butter! Melt butter/ghee or coconut oil in a pan on low heat. While melting, finely chop pecans with a knife or blend in food processor for a finer texture. 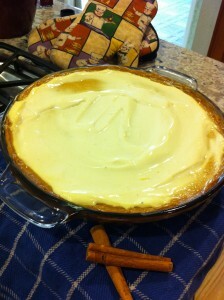 Place into glass pie pan and drizzle with melted butter. Press into a crust shape along the bottom and up the side of the dish. Bake for 15-20 mins until very slightly crisp. Combine the pumpkin, coconut sap, molasses, 40 drops stevia, 1/8 c. sour cream, beaten eggs, cinnamon, nutmeg, ginger, and salt in a large mixing bowl. Set aside. Use an electric mixer to beat the cream cheese and bourbon until smooth. Combine with the sour cream and pumpkin mixture. Pour over the pre-baked crust. Bake for 60 to 70 minutes, or until the center shows little to no movement when the pan is tapped. Set aside to cool. 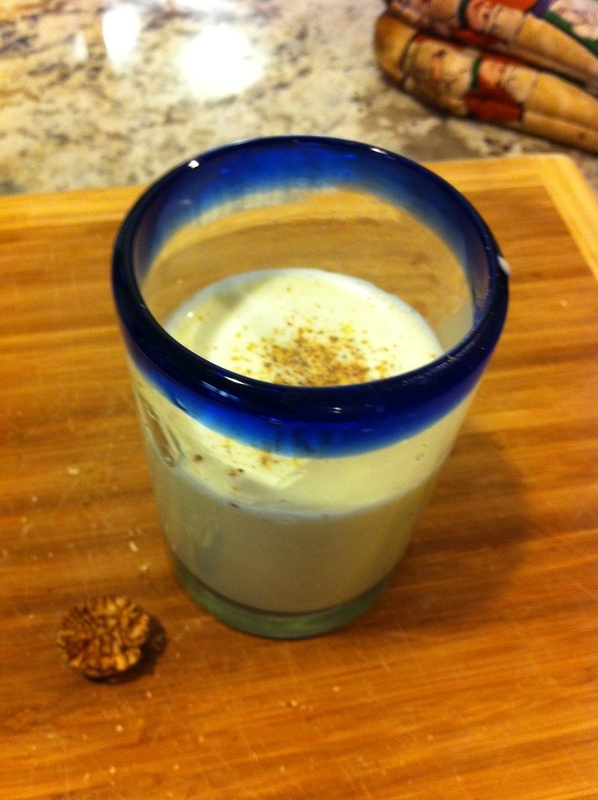 Combine the remaining sour cream, 1 T. bourbon, and 4-10 drops of stevia (to taste) together in a small bowl. Spread over the cooled cheesecake. Bake for 10 minutes. Remove from the oven and let stand for 15 minutes. I don’t care if you haven’t historically liked liver. With enough butter and cream, even cardboard would taste good. And by the way, liver is WAY more nutritious than cardboard. It ranks at the top of superfoods, is full of vitamins D & A and several B’s, high in all nine essential amino acids, iron, and antioxidants: So don’t knock this recipe till you’ve tried it! Oh and by the way, babies LOVE liver mousse. Seriously. 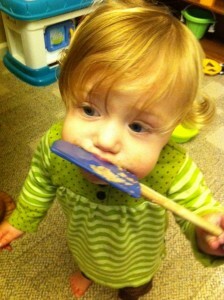 Check out my Paleo Baby page. 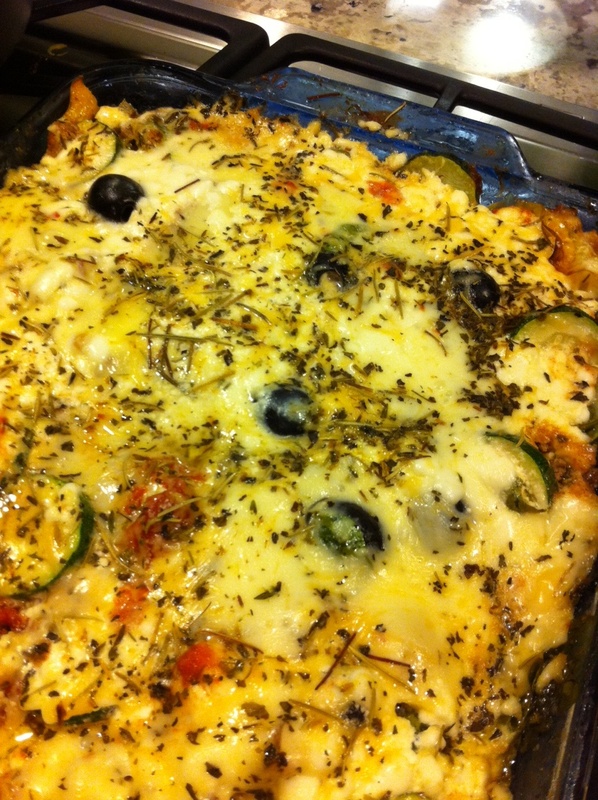 *This recipe is adapted from Julia Childs’. Saute chicken livers in butter on low heat for about 5 minutes or until chicken livers are still slightly pink inside. Pour liver puree back into the pan (low to medium heat) and add cream, salt, and spices, stirring occasionally. It’s done once the cream has thickened slightly, but don’t cook it till it is thick. It’s best when it’s a slightly soupy. Do a little taste test. if it doesn’t taste awesome yet, add a little more cream and/or butter. I’m only half joking when I recommend adding butter and cream until it tastes good. This mousse is incredibly high in healthy fats and is great for protein type metabolic types. If you aren’t someone who does well with higher amounts of protein and fat, I’d advise enjoying smaller portions of this moussey goodness. Great with any meal, as a dip for veggies or on its own. Good hot or cold. 6 duck eggs or 9 chicken eggs. Important to use pastured & organic! Beat eggs till frothy. Add stevia or sugar, nutmeg and vanilla, still whisking strongly. Slowly stir in cream and milk. Chill in refrigerator and serve cold. Delicious! Melt butter/oil on stove. While melting, crush pecans to desired texture and place into pie pan (glass preferred). After melted, pour butter over pecans and distribute evenly. This crust does not have to be pre-baked. Just add your filling and cook as your recipe advises. This crust can be modified for either savory or sweet pies. For savory pies try adding sea salt and herbs. For sweet pies try adding stevia, vanilla, cinnamon, or maple syrup. As I write this blog, I have a belly full of this delicious meal. A scrumptious blend of meat, veg, cheese and spices makes this meal nutritious, satisfying, super low-carb, gluten-free, and total comfort food. Amounts of ingredients aren’t critical. Customize this recipe to your preferences. If you like a lot of meat, or more vegetables, or more/less cheese, go for it! It’ll be awesome. Cut the head of cabbage in half and slice off the bottom to remove stem. Place in a steamer basket in a large pot with a few cups of water and steam until tender on medium heat (about 25 mins). While cabbage is cooking, cube up shitakes, bell pepper and zucchini. In a large skillet, crumble all the meat, add spices and garlic. Cook on medium heat. After a few minutes, add the bell pepper to the skillet so that it seasons the meat. Mmmm. Cook till medium doneness (don’t overcook!). Once the cabbage is done (let it cool for a minute or two so you don’t burn your fingers), peel the leaves off one by one and place in the bottom of a huge glass baking dish. And pre-heat the oven to 350 while you’re at it. Then layer everything however you like. Cabbage, meaty goodness, some crushed tomatoes, ricotta or cottage cheese, spinach, more meat, zucchini, some cheese…you get the idea. 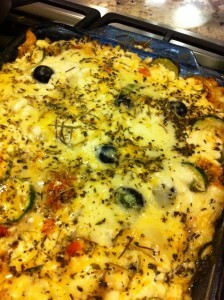 When you run out of everything, top it with any remaining cheese and sprinkle some more herbs on top to make it pretty. Then stick it in the oven at 350 for an hour. Transform this amazing sugar-free, low-carb mousse into a festive holiday treat by adding a dash of nutmeg and using hazelnut flavored stevia!